It’s been a tumultuous four years for Olivier Brandicourt at Sanofi, marked by restructuring, cost cuts, an asset swap and two M&A deals designed to upgrade the drugmaker’s rare disease business. What happens over the next four years is anybody’s guess, but the company’s working now to decide who’ll be at the helm, a spokeswoman said. 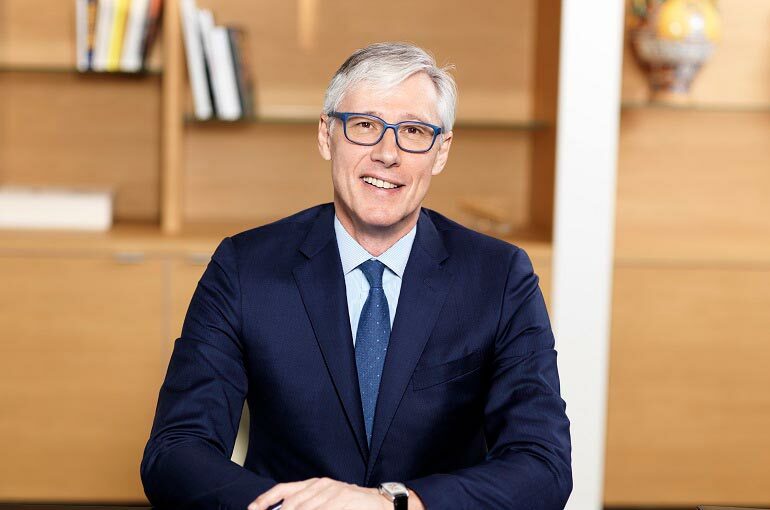 Sanofi is planning for Brandicourt’s departure because he’s two years away from his 65th birthday, and the company “sets the end of its CEO assignment at the age of 65,” the spokeswoman added. “With this perspective, the board has been considering this succession plan for some time now, in agreement and consultation with our CEO,” Sanofi’s spokeswoman said. Sources told Reuters that talks about the company’s future leadership have grown more intense in recent weeks. In February, Sanofi reported a sales decline for 2018, and just last week, the company disclosed it had cut Brandicourt’s pay by 25% to €7.28 million ($ 8.2 million), making his the smallest compensation package in Big Pharma. Brandicourt has served as Sanofi’s CEO since April 2015, when he was brought in to lead the company after the board fired Chris Viehbacher, amid tensions over his leadership style. Brandicourt inherited a company facing intense pricing pressure in its key diabetes unit and a thin pipeline of new drug candidates. Soon after taking the helm, he unveiled a restructuring plan to cut costs and jobs, focus on five business units and emphasize its rare disease group Genzyme. He also started shopping for deals, with mixed results; the company lost out on Medivation in 2016 when Pfizer swooped in, and Actelion snubbed its takeover attempts before hooking up with Johnson & Johnson. But in 2016 Sanofi did ink an asset swap with Boehringer Ingelheim, sending away Sanofi’s animal health business in exchange for Boehringer’s consumer healthcare unit. And in early 2018, Sanofi struck deals for Ablynx and Bioverativ in quick order, boosting its presence in rare blood diseases. Sanofi’s first med from the Ablynx deal, Cablivi, recently scored an FDA nod and carries peak sales estimates of $ 500 million. Genzyme has delivered on a couple of other fronts, too. Dupixent, a Regeneron-partnered atopic dermatitis therapy approved in 2017, grew to €783 million ($ 887 million) last year. The drug has snagged new approvals in asthma and pediatric eczema patients, and it’s working on an indication in severe sinusitis. Kevzara, another Regeneron-partnered med, rolled out in 2017, with less success. And one key launch under Brandicourt hasn’t panned out at all, at least not yet. The company’s dengue shot Dengvaxia, one of Viehbacher’s favorite projects, has been more of a liability than a sales engine as a safety controversy in the Philippines has continues to generate negative headlines. Sanofi isn’t the only drugmaker that’s had to contemplate replacing a retirement-age CEO over the past couple years. Last year, Merck & Co. changed its mandatory retirement rules to allow CEO Ken Frazier to stay in his post after he turns 65 this december. And in 2017, Pfizer handed then-CEO Ian Read, who was eligible to retire at the time, an $ 8 million retention package to persuade him to stick around until March of this year; he bowed out as of December 31, 2018, for new CEO Albert Bourla.